As of the real life 2015, there are still no Major League Baseball teams other than in the United States and Canada. In fact, the closest thing to any international competition is the World Baseball Classic, a tournament played once every three or four years, and hasn’t really caught on with American audiences. 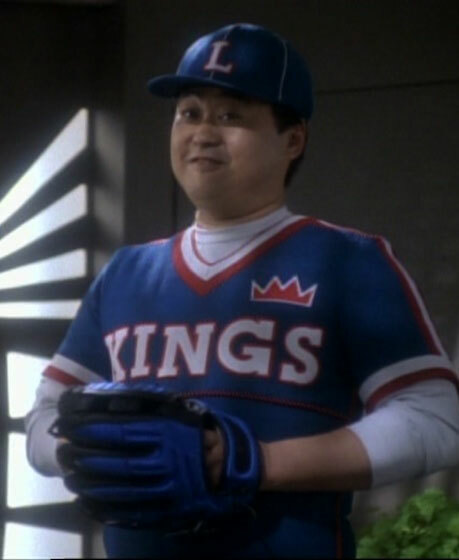 Still, it would be fun to guess which 2015 major league rookie is the real-life of Harmon Buck Gin Bokai might be, as this year, 2015, was his rookie season in the Star Trek timeline. The two players I’ve narrowed the list down to are players with the potential to have careers similar to that of Buck Bokai based on commentaries regarding those players. In his first three years in the Major Leagues, Bokai, a switch hitter, hit twenty home runs a year right-handed. After his manager moved him to second in the batting order, Bokai never hit more than ten home runs a year batting right-handed. Various scouting reports indicate Correa is a gifted hitter, who may make a change from shortstop to third base as Bokai did. Like Buck Bokai, Kang is can play shorstop and third base. So far during his first year in the American major leagues, he has been a solid hitter in a reserve role, coming off career highs in batting average, doubles, home runs, and RBI’s with the Nexen Heroes in 2014. He could eventually usurp a starting role from one of the Pirates’ incumbent players. Despite being a starting shortstop in Korea, scouts believe he will eventually make a move to second or third base.